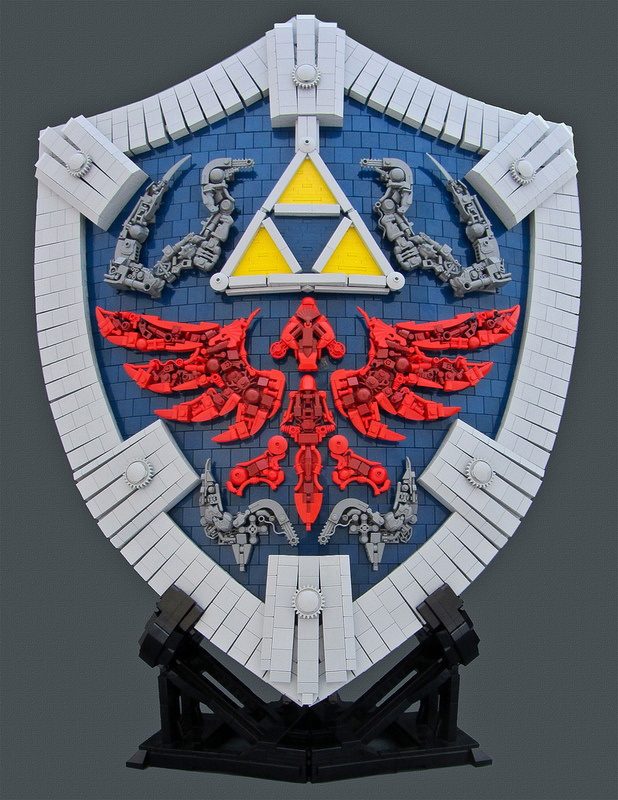 The Legend of Zelda, Link’s Hylian Shield – A Lego Mosaic. 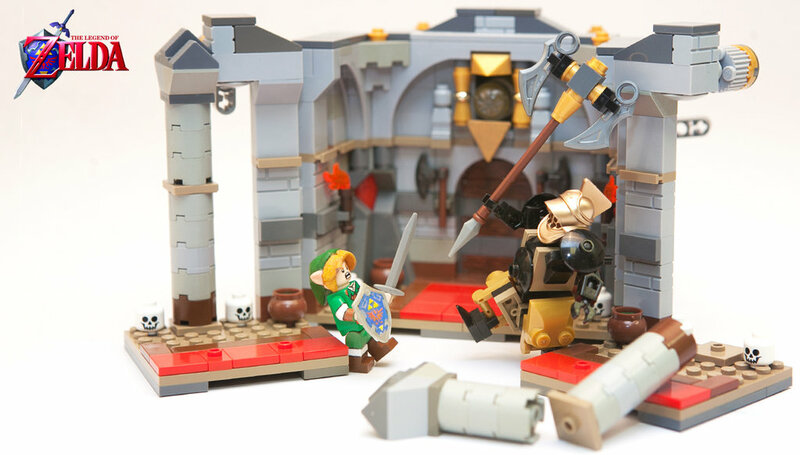 Lego and Zelda go together extremely well, so well that there are many epic Lego creations based on the popular video game franchise. The fantasy setting blends well with the Lego Castle theme. An uncountable amount of kids have at one time or another created their own Zelda inspired MOC. 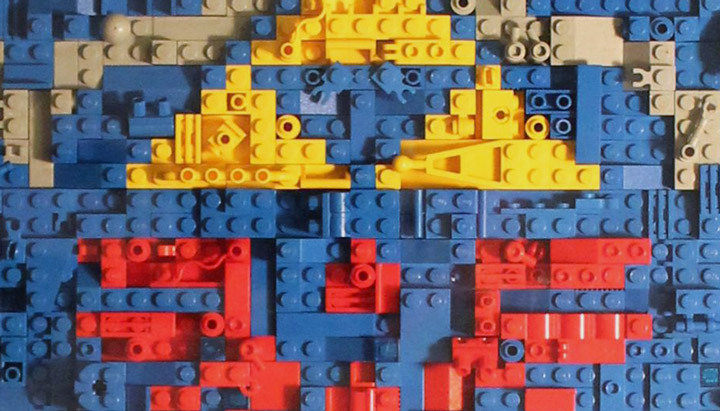 A whole lot of Nintendo themes would fit into Lego. Imagine Mario, Metroid, Zelda, and Pokemon. With the recent release of Majora’s Mask, a few more custom creations are probably on their way. 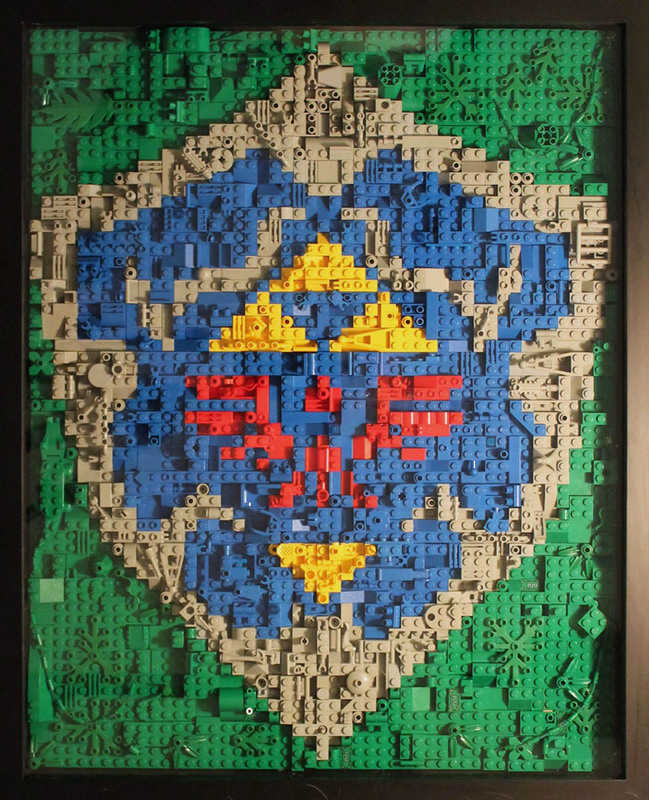 This Lego mosaic of Link’s Hylian Shield is the creation of Briotr. 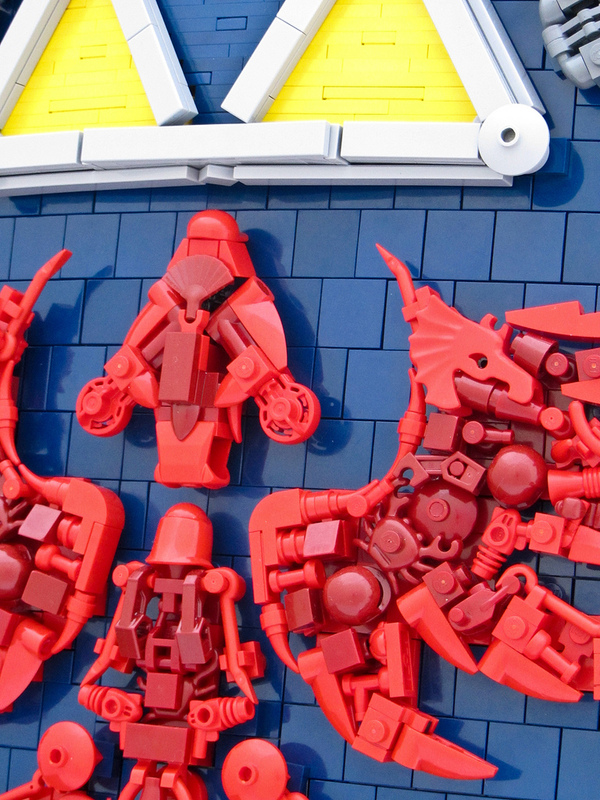 Instead of sticking to a simple grid style Lego mosaic, they combined and used a lot of pieces that can create more natural shapes. This style also acts as a sort of magic eye sort of puzzle. Can you find an alligator, red flag, blue Lego pants, and the $100 bill? Good luck! 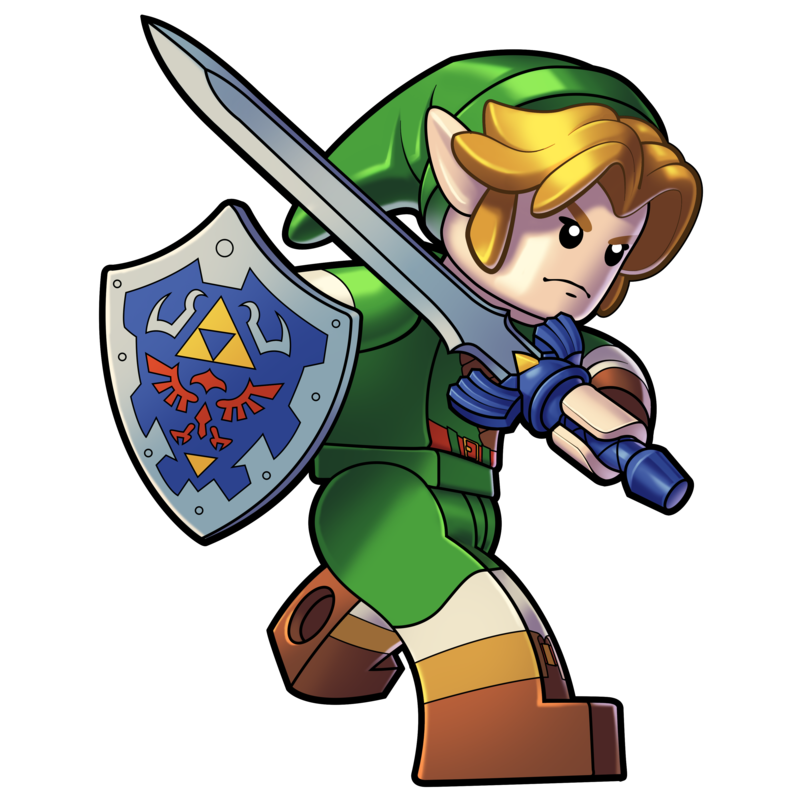 WesTalbott has proposed a Legend of Zelda: Iron Knuckle Encounter project over at the Lego CUUSOO page. This is not the first time the Legend of Zelda has made an appearance on the CUUSOO page, but it is by far the strongest proposal. 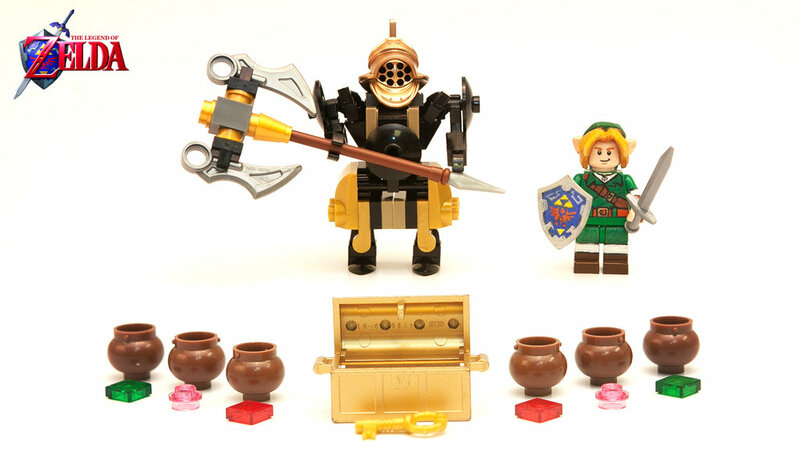 Lego has said in the past that a previous Legend of Zelda theme would be too expensive to produce due to the need for custom molds. WesTalbott took that news and created the Iron Knuckle Encounter, which would only require 1-3 custom molds. The most important new mold that would be needed is for Links hat. A new sword and shield would be nice too, but those were not designed to be a requirement. 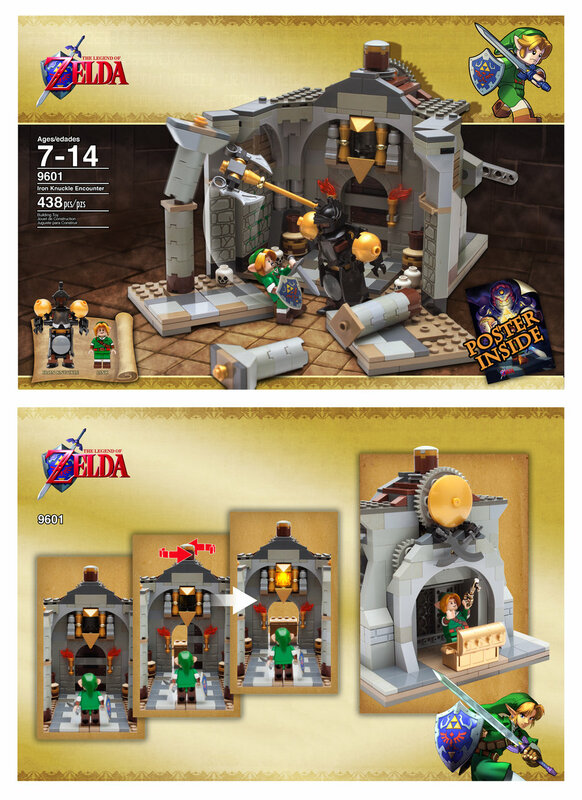 Having Link fight a brick built bad guy is really fun, and certainly appealing to the AFOL market. And, just look at all those wonderful jars, they are just begging to be broken! The whole set would feature said pots, lots of skulls, rupees, and even a boss key. Even the double sided play set provides a lot of play features, and looks great. In the last few months a lot of the Lego CUUSOO project proposals have become much more realized, probably a side effect of Kickstarter. 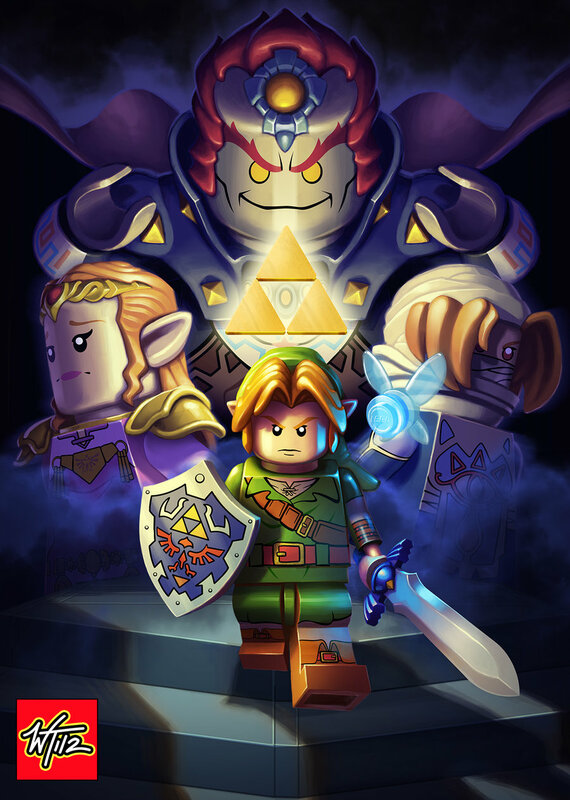 The Legend of Zelda: Iron Knuckle Encounter features a lot of artwork to go with the proposal, such as a mock up for a Lego box, and a wonderful poster! The only problem with a Legend of Zelda theme is acquiring a license. Nintendo has never worked with Lego, and is currently working with K’NEX. Stranger things have happened though. Lets all hope that Link can get the treatment he deserves. Although Twilight Princess is not the most memorable game in the Zelda franchise, it is the basis for one of the most memorable Lego MOC. The Legend of Zelda and Lego are a perfect fit. There are many advanced techniques when building with Lego, ways of putting the pieces together that Lego has never documented in an instruction manual. A perfect example of this is Link’s Hylian Shield. Just look at the detail put into creating the complicated pattern on the front. Yep, those are crowbars, space helmets, crabs, dragon helmets, fans, fezzes, and even ray guns all in the red bird motif. Make sure to check out the Bolt of Blue’s Hylian Shield on Flickr. Now if you will excuse me, I am off to play A Link to the Past. 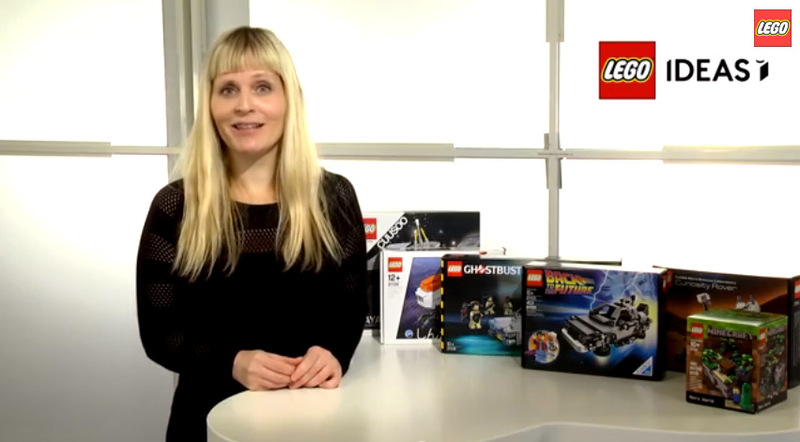 Lego has recently announced the results of their Lego Ideas Winter 2014 Review. This is the first officially branded Lego Ideas Review, but all of the projects were approved under the old CUUSOO system. This review had a whole lot of projects. With Macross, the Legend of Zelda, Adventure Time, Back to the Future, Sherlock, and Japanese Old Style Architecture being considered. In the end, none of these projects were approved, but an older Lego CUUSOO idea will be the 8th Lego Ideas model. The Female Minifigure Set (Research Institute) has been announced, with a release date of August 2014!